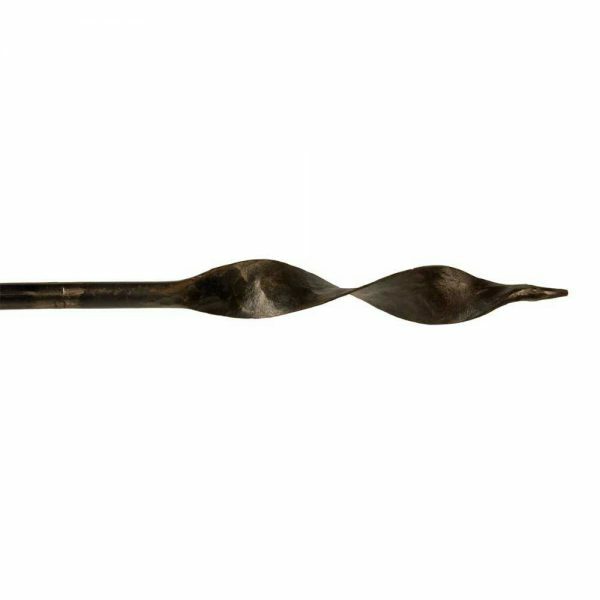 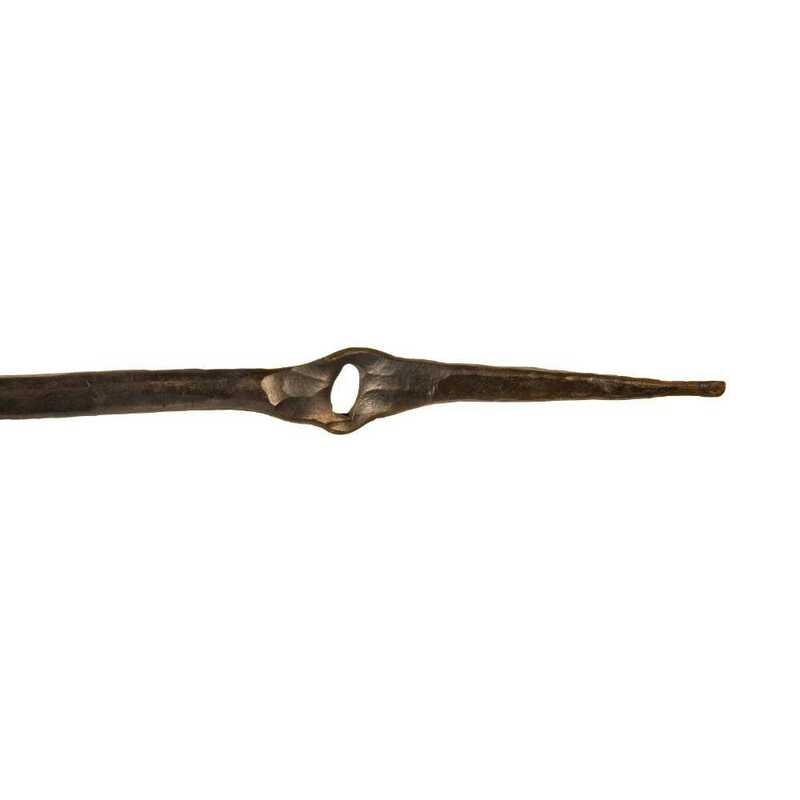 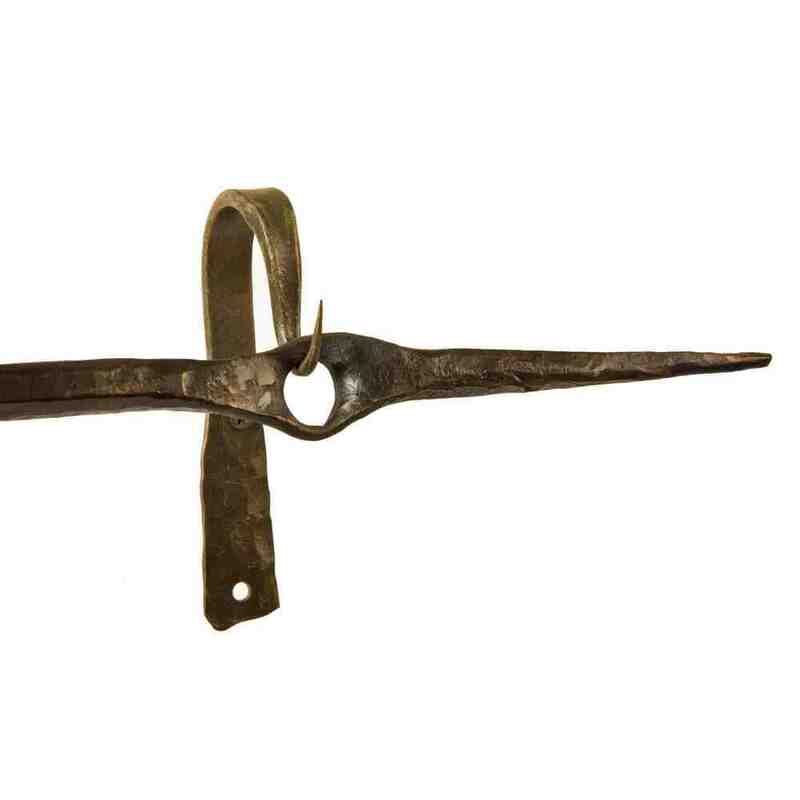 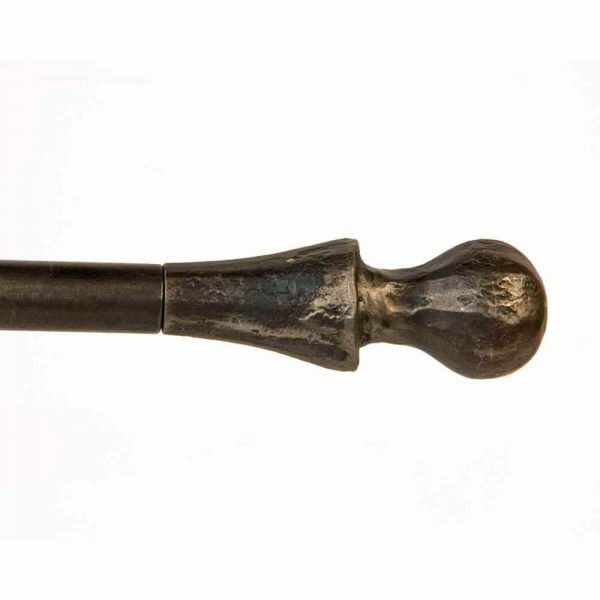 The Pierced Primitive Rod is inspired by the historical works of African blacksmiths. 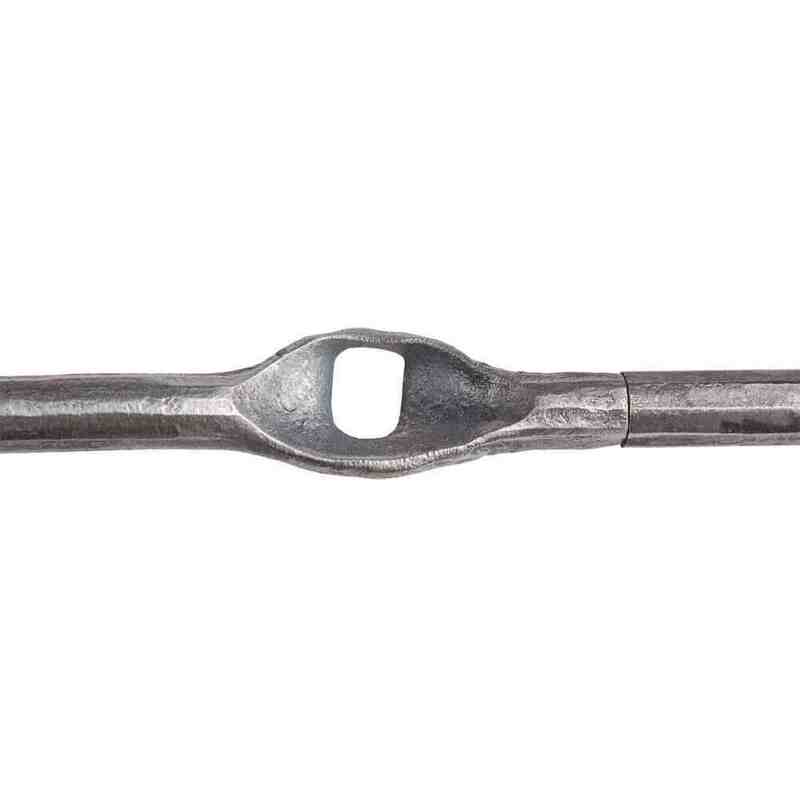 The entire bar of steel is hammered into a roughly faceted hexagon and pointed on the ends. 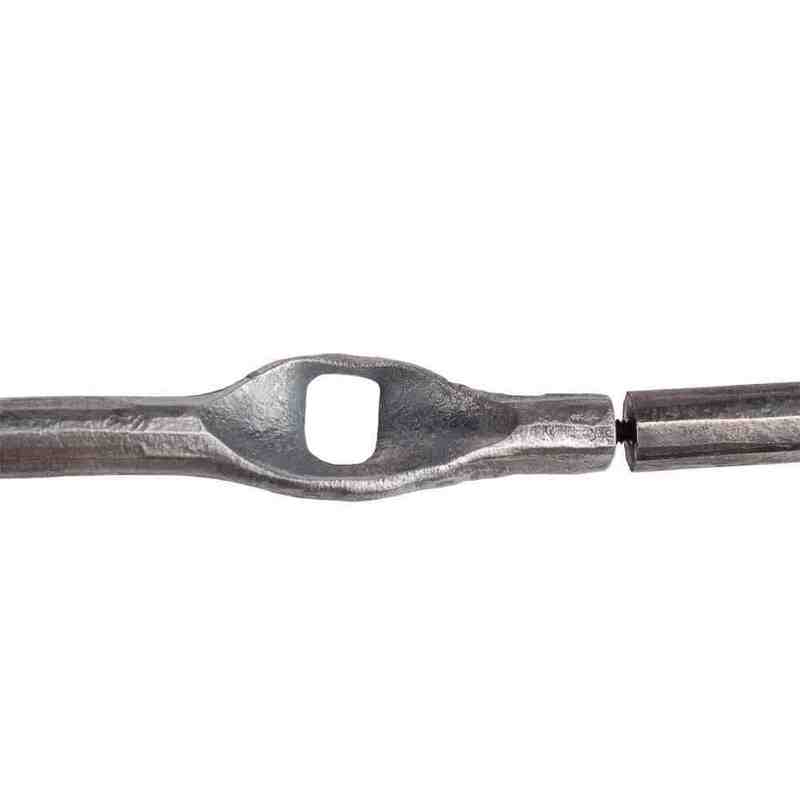 The piercing for the brackets are hand forged with rectangular drifts. 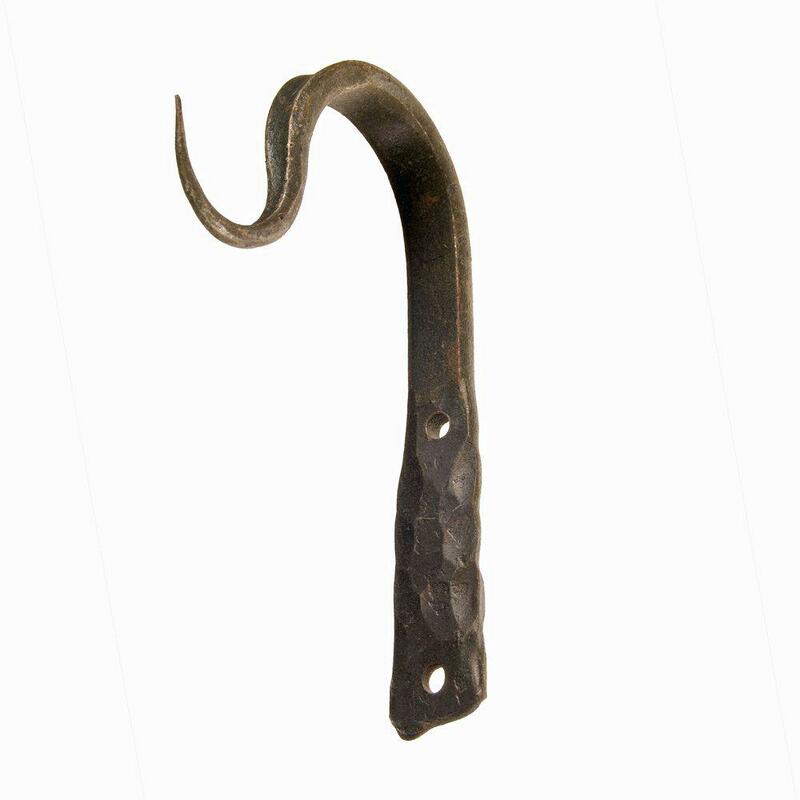 The brackets are also hand made to genuinely reflect the craftsmanship of the ancient blacksmiths.